Only standard side impact protection. If you are travelling with young children, you probably already know how important the right car seat is. Besides the fact that, using a car seat for your kid is mandatory in most states, it’s also the best solution for offering your kid the safety and comfort he needs, while on the road. There are different types of infant car seats, but, the type that probably represents the best investment is the convertible car seat. One of the best rated products of this type is the Britax Marathon G4. The main advantages that a convertible car seat should offer in order to be worth your consideration are safety, comfort and convenience. The Marathon G4 makes a great impressions in all aspects and looks great too. Of course, these types of car seats have a big advantage right from the start. The fact that you can use them for your kid from when he’s born until he doesn’t need a car seat anymore makes convertible car seats the highest value for money type of infant car seats. Aside from this, let’s take a look at the main reasons why you should consider this model as an option. The Britax Marathon G4 Convertible Car Seat has several safety features that make it a very popular option. One of best features is the base with safecell technology. It compresses, in case of an accident, absorbing a lot of the shock. The five-point harness can be adjusted to fit your child perfectly and is also very comfortable for him. 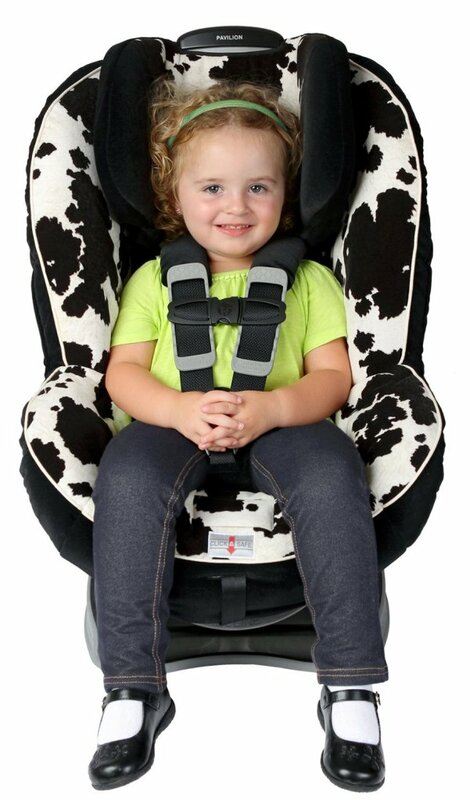 You can use this car seat for your child facing wither backward or forward, both positions offering increased safety, although generally, rear-facing seats are considered safer. You can use it facing backward until your child reaches 40 pounds. Then, you can continue using it facing forward until he has a weight of up to 65 pounds. One of the factors that matter a lot when looking at an infant car seat is how much comfort it offers your child. Besides safety, which is the primary purpose of these products, comfort is an equally important aspect. Especially if you like to take longer road trips with your family, you have to make sure that your child’s seat offers him the most pleasant time possible. The Britax Marathon G4 offers increased comfort and proper support, especially in the head, neck and shoulder areas. These parts have extra padding, keeping your baby in the proper position, while avoiding to cause discomfort. Installing it is very easy. The seat is on top of a base that you can easily install into your car either using the car’s seat belt straps of the lower LATCH connectors. Buckling your child to the seat shouldn’t pose too many problems. Especially when it’s windy and raining, being able to put him in the seat fast makes all the difference. The EZ-Buckle system on the Marathon G4 makes it possible to complete the job in record time. Without this smart addition, you would have to reach under your kid to try and pull the buckle to the front to ultimately be able to connect it with the shoulder straps. The entire process would be pretty inconvenient without the EZ-Buckle system. The lower latch connectors feature a push-button system for quick release. Convertible Design. 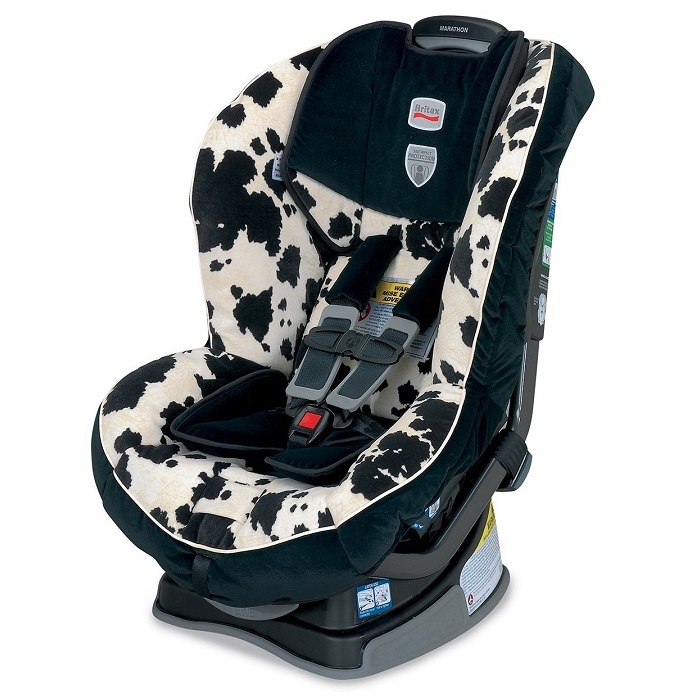 Most parents who bought this car seat, said that one of the important reasons for selecting this model was the fact that you can use it facing both backward-facing, for babies, and forward-facing for toddlers. Value for Money. Because it can be used for a prolonged period of time, offering safety and comfort, all through the different stages of your child’s first years, most parents who have reviewed this product thought it was a wise investment. User-Friendly. Many parents mentioned that trying to buckle up their kids in other car seats, used to be pretty complicated. The easy system that Britax used for the harness is pretty ingenious. Stylish Look. Some parents were drawn to the stylish design of the Marathon G4. It’s available in multiple color options, but the one that we features, is especially popular. Most parent who reviewed the Marathon G4 were really happy with their choice. But, as with every product not every single customer will have the exact same opinion about it. One mom said that she found the push-button mechanism of the buckle to be a bit too difficult to use. She said that, although most people will probably like the fact that it’s robust, she said that unbuckling her kid fast was not something that she succeeded yet. After conducting an in-depth research on the Britax Marathon G4 Convertible Car Seat, comparing various customer opinions, we found that the advantages were far greater than the disadvantages. What’s more, most parents were extremely happy with their choice. Overall, if you search for a convertible car seat that offers high quality and a fresh style, for a reasonable price, then you should strongly consider the Britax Marathon G4. If you think that the Britax Marathon G4 is the best convertible car seat for you, take advantage of this limited time discount right now!